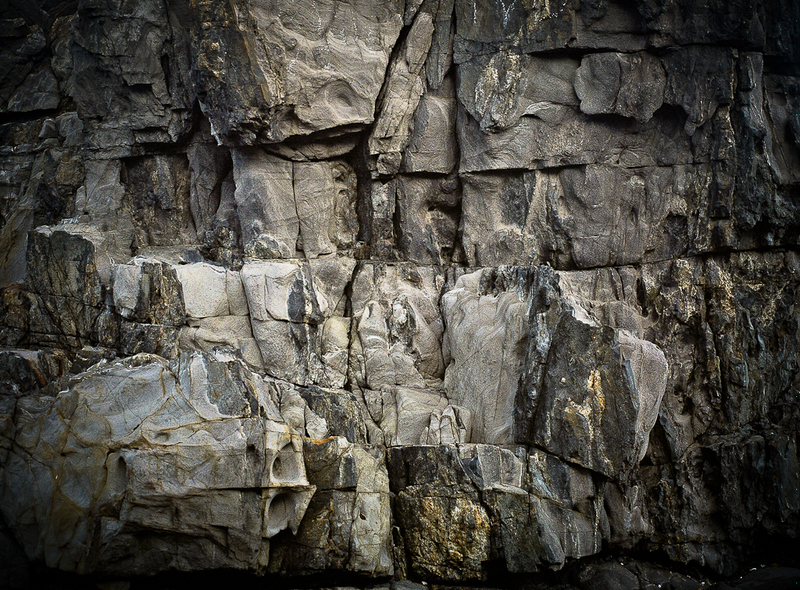 This is pretty much how I see the rockface in the coastal landscape just west of Victor Harbor and around Kings Head. It is the constantly changing play of light on the rock forms along the coastline that caught my eye and intrigued me. 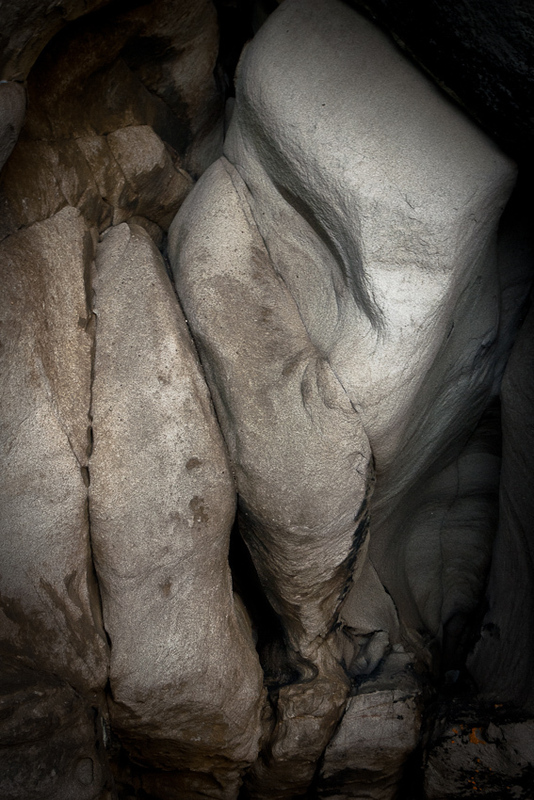 I tend to see the rockface in terms of abstractions---organic abstractions, as it were. Abstract modernism in this form makes sense to me as a photogrpaher. This pink gum is on the side of the road to the Council Rubbish dump. I noticed it one day when I was walking along the road with the poodles. It was probably the first time that I'd started to look the roadside vegetation as a photographer. The shape intrigued me so I took a quick snap. I've returned a couple of times to photograph the tree with different cameras and in different conditions. It is significant moment for me because I then started to look more closely at the roadside vegetation on the back roads. The South Australian modernist painter thst I have the greatest affinity to is Dorrit Black. She used the unique forms of the Fleurieu Peninsula landscape as the basis for her modernist works, such as Coast Road (1942) and Cliffs at Second Valley (1949). The latter is not online. The pallette in Black's work of the 1940s is sombre, the approach is cubist, the forms sculptural, and there is a gesture towards the sublime. This the photographer on location in the early morning. The rock being photographed is this one. 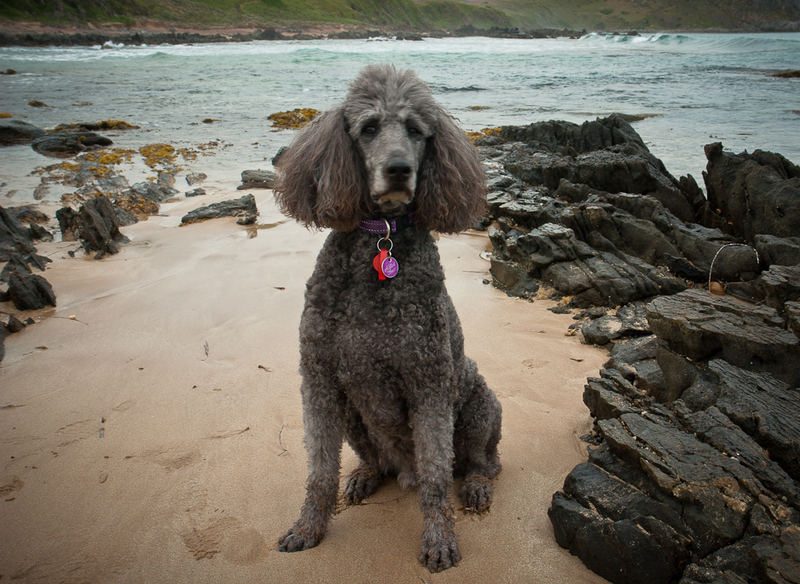 I'd come across the rock form when I started exploring the cliffs east of Kings Beach on an evening walk with the poodles. I took some snaps and they looked okay on the computer screen. So I returned with my film cameras. It was a struggle to get the gear down the cliff face early in the morning. 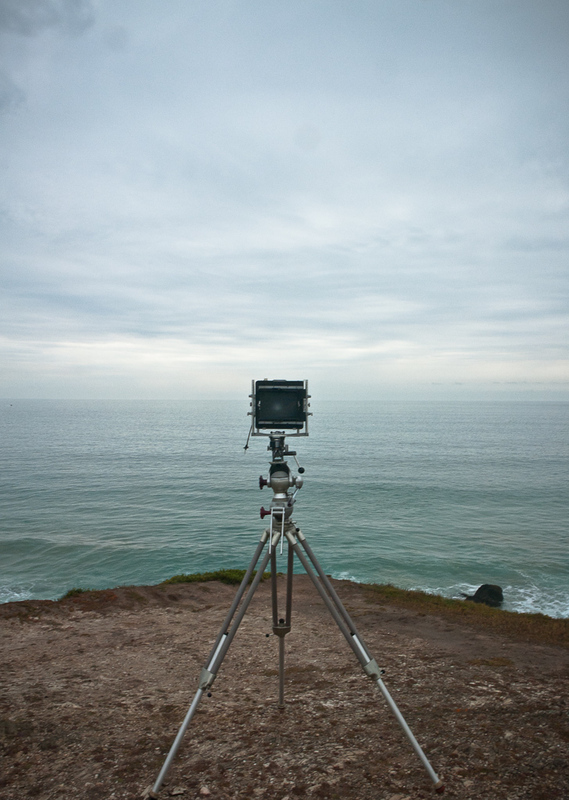 The Linhof Tripod is heavy and bulky and difficult to carry. But it comes into its own in situations like this, as it is very flexible and sturdy. My interest in the rocks was form and light. Modernist abstraction in photography made sense-----it is abstracting from the forms in nature. This abstraction of the forms of the landscape has nothing to do with romantic subjectivity or transcendentalism. I don't see many Australian photographers or painters doing this sort of work. Old Victor Harbor prior to the sea change phenomenon was notable for its large and glorious gardens. 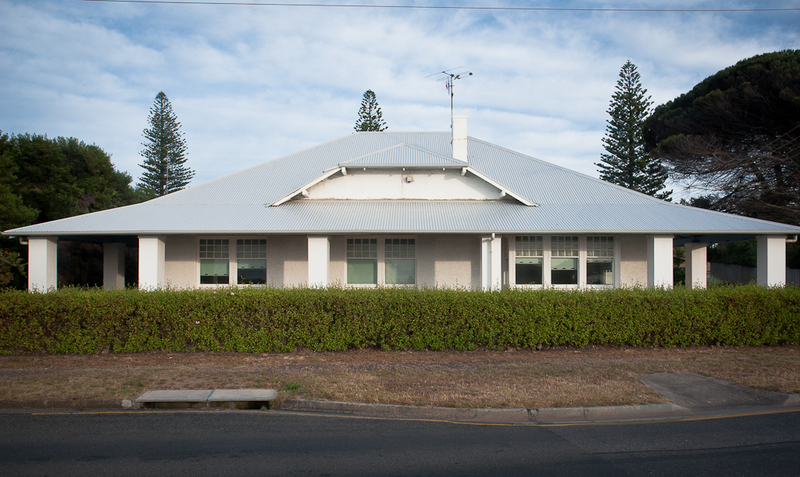 New Victor Harbor is more about small blocks, McMansions, panoramic views and no trees. I pass by this garden each time I walk the poodles down to the beach. 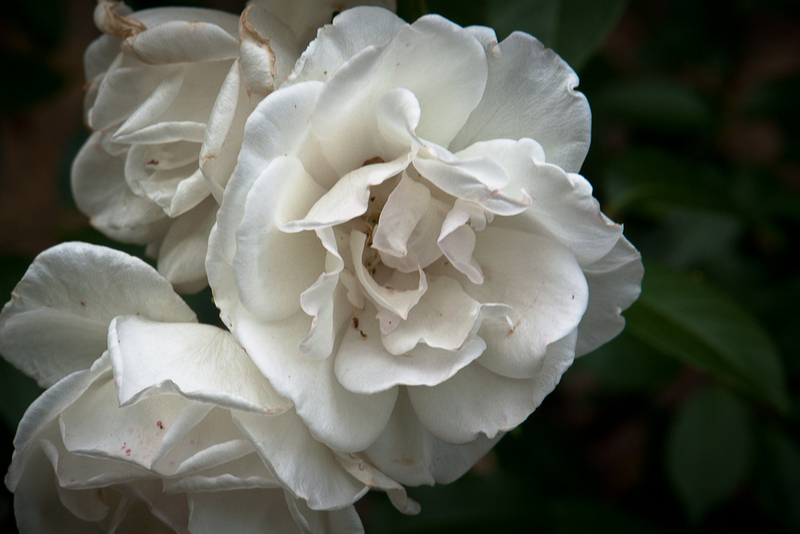 It is just down the road from the studio and the white roses are extravagant in the spring. They are in open shade and I cannot resist photographing them. Agtet is a standard poodle. This is his favourite beach. It is between Petrel Cove and Kings Beach. It used to be fairly isolated. It is now part of the Heysen Trail and the Victor Harbor Council has put a lot of money into building an all weather track along the cliff tops. The beach has now beccome quite popular in the summer months. 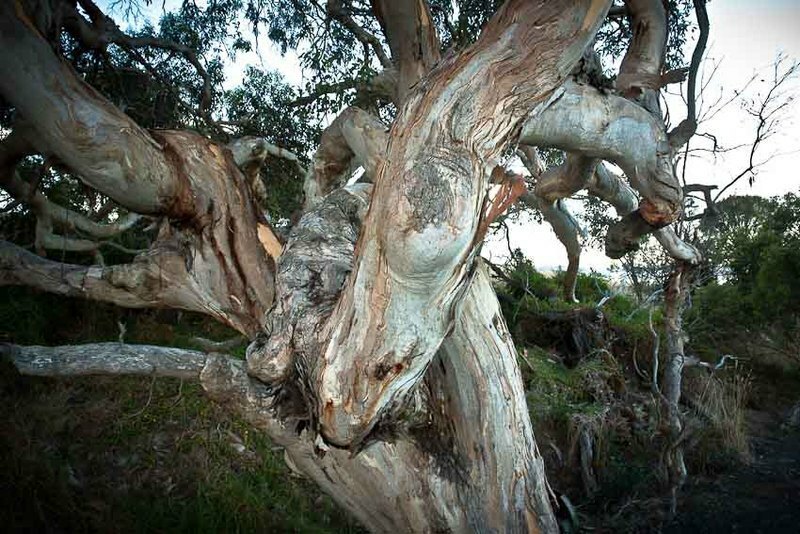 One of the characteristics of Victor Harbor is the deeply felt concern to protect its cultural heritage. At its most extreme this takes the form of protecting the old against the new and opposing all development. On the other hand, there is a lot of gorgeous beach side residential architeture that needs to be protected from being pulled down by developers to build McMansions or a dreary block of units that signify architecture by numbers. This is an example of what should be protected. It signifies old, gracious Victor Habor. The leisurely, monied world of yesteryear. 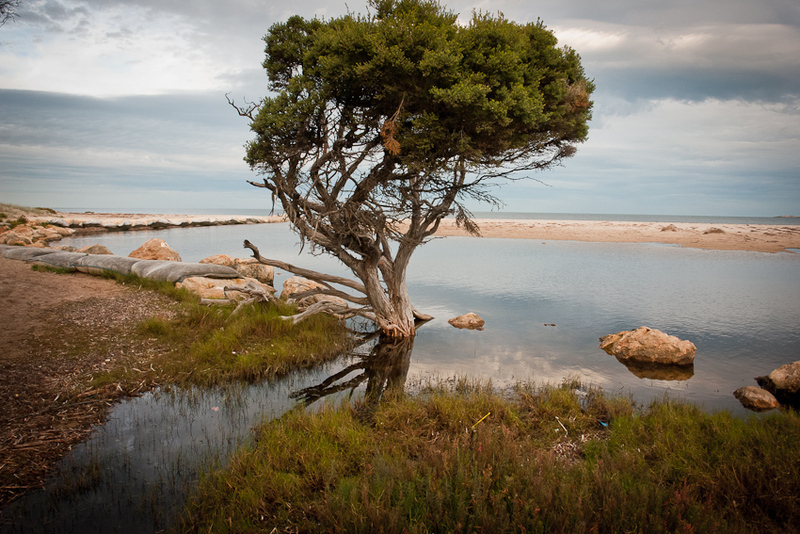 Welcome to the blog of Encounter Studios, which is situated in Victor Harbor South Australia. This weblog willl be updated occassionally as I live in Adelaide and weekend in Victor Harbor. I will only post when I'm in Victor Harbor. 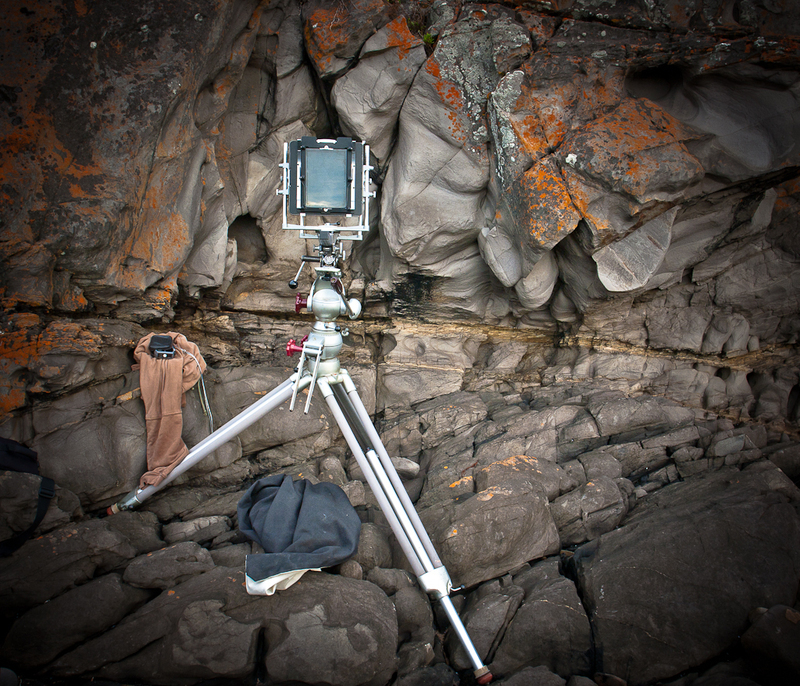 I've started the blog to basically talk about, and share, my attempts to set up a film based digital studio whose primary focus is to photograph my local neighbourhood--specifically Victor Harbor and, more generally, the Fleurieu Peninsula. Since the early years of colonial settlement the south coast of Adelaide--the Fleurieu Peninsula-- has been frequented by artist--primarily painters. It is a beautiful part of South Australia and still underrated. Landscape painting still dominates the visual representation of this region. I use a variety of cameras--mostly film cameras because of historical reasons---and I'm working on a book of the region. I've also started a gallery of pictures.